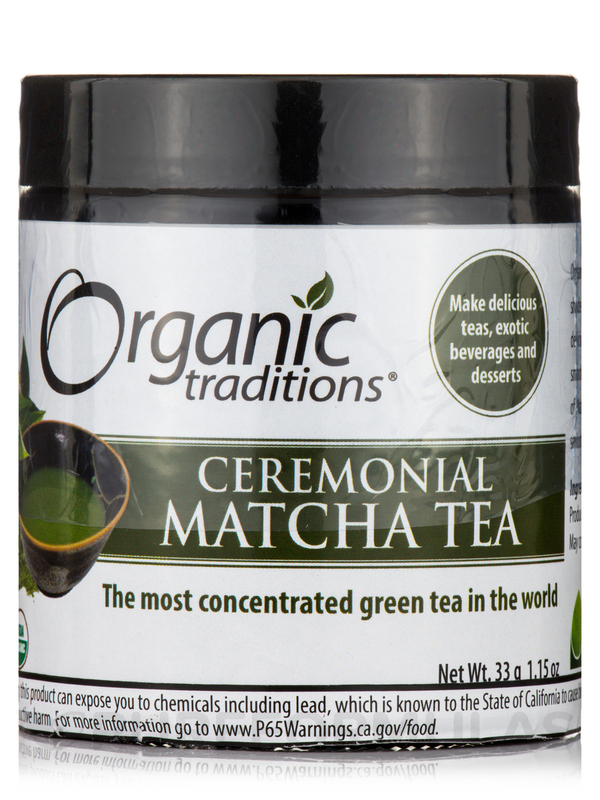 I love Ceremonial Matcha Tea by Organic Traditions. I definitely get more of a lift with this since it's ceremonial grade and it mixes into anything beautifully. This also has a great smooth taste. Nature's Most Concentrated Green Tea! 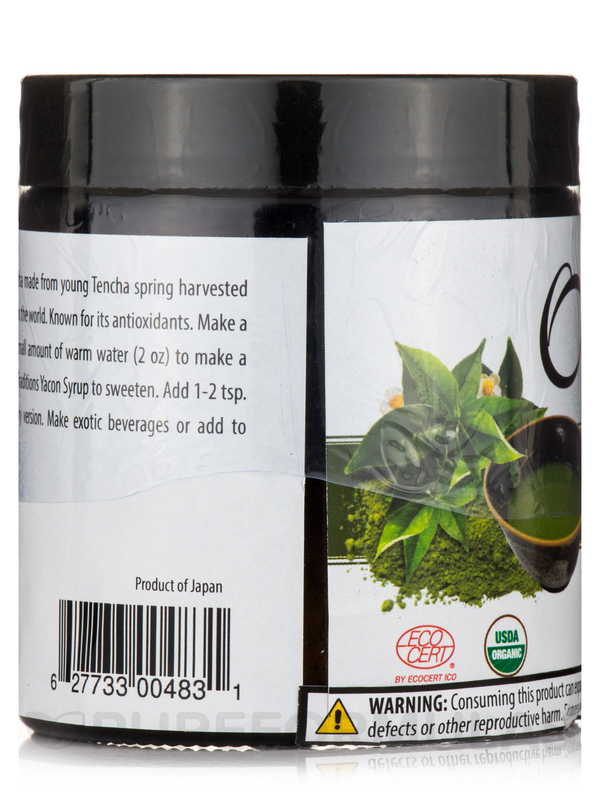 For centuries‚ Japanese Ceremonial Matcha has been the most revered green tea in the world. Traditionally used in the daily diet‚ in medicinal preparations and for ceremonial purposes‚ it is said that Zen buddist monks consumed Matcha for facilitating meditation‚ health and longevity. There are many grades of Matcha. Lower‚ less expensive grades pulverize the stems with the leaves‚ creating a bitter taste and a yellow-green color. Some Matcha is prepared using hot pressure processing that destroys the delicate compounds‚ thereby creating oxidation. 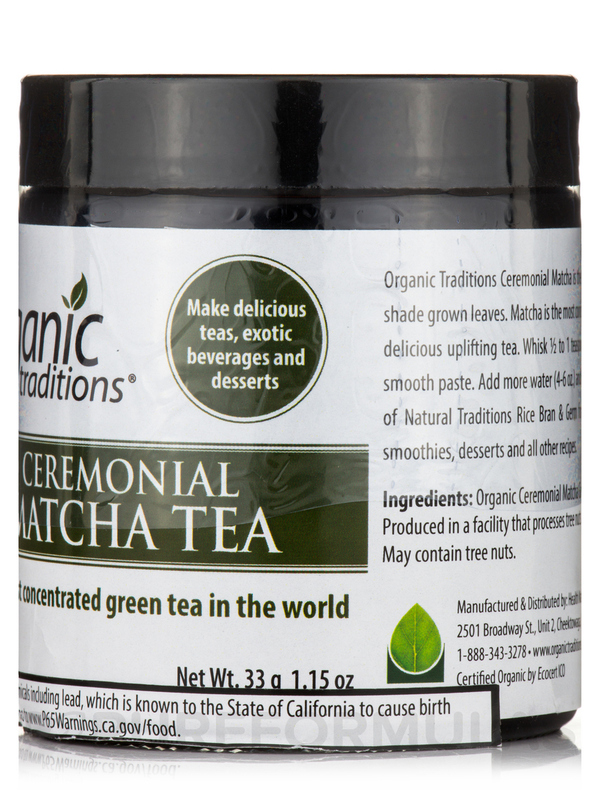 Organic Traditions Ceremonial Matcha is the highest quality grade Matcha. Organic Japanese‚ young Tencha‚ shade grown buds are handpicked and ground into a fine‚ jade colored powder in order to preserve the true taste‚ aroma and nutrients. One serving of Matcha is equivalent to drinking 10 cups of regular green tea. Known for its antioxidants‚ Organic Traditions Ceremonial Matcha contains an impressive ORAC value of 4‚000 per 1 teaspoon‚ 3 gram serving. The ORAC value is a measurement of the antioxidant capacity of different foods. The naturally occurring amino acid L-Theanine provides balanced sustained energy and encourages a relaxed‚ calm‚ alert mind. 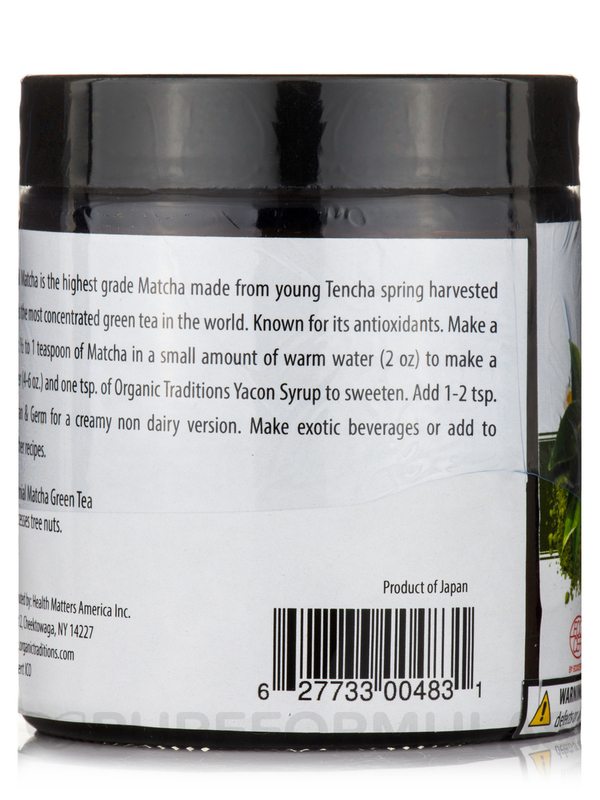 Organic Traditions Organic Ceremonial Matcha contains a host of antioxidants and other beneficial nutrients. Organic ceremonial matcha green tea. No added sugar‚ flavors or additives. Make a delicious uplifting tea. Whisk ½ to 1 teaspoon of matcha in a small amount of warm water (2 oz) to make a smooth paste. Add more water (4-6 oz.) and one teaspoon of organic traditions yacon syrup to sweeten. Add 1-2 teaspoons of natural traditions rice bran and germ for a creamy non-dairy version. Make exotic beverages or add to smoothies‚ desserts and all other recipes. It has a smooth taste and mixes easily. 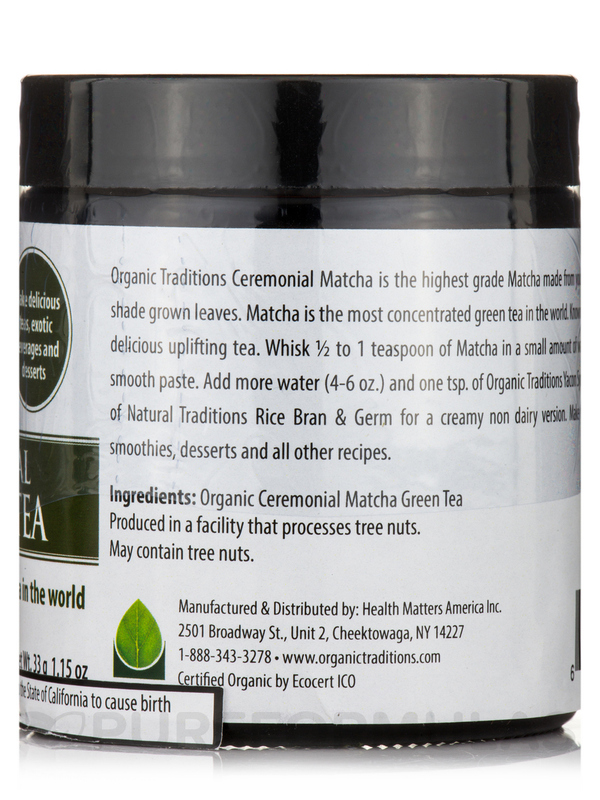 I have tasted Ceremonial Matcha Tea by Organic Traditions on several occasions (too pricey for me) and I found it to be a nice quality and organic tea. Too pricey for everyday use.